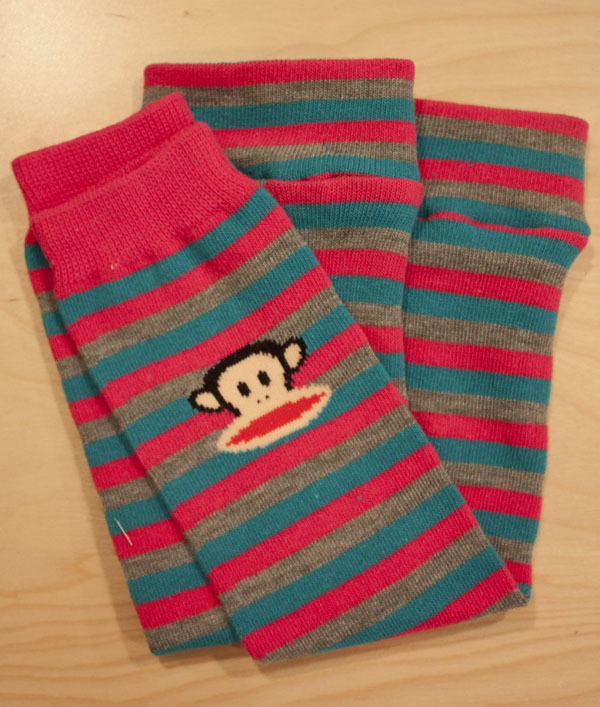 Last Christmas, my crafty sister-in-law Amy gave Eva little leg warmers she had made from women's knee socks. These things are the bee's knees, I tell you. 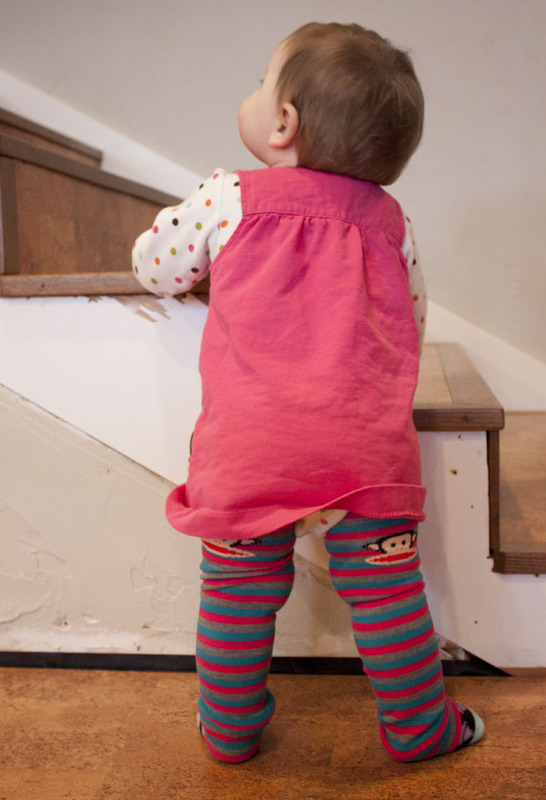 So much better than tights, because you don't have to pull them down for diaper changes. I don't know why it took me so long to get around to it, but after a quick little tutorial from Amy, I whipped up a few more pairs. 1. 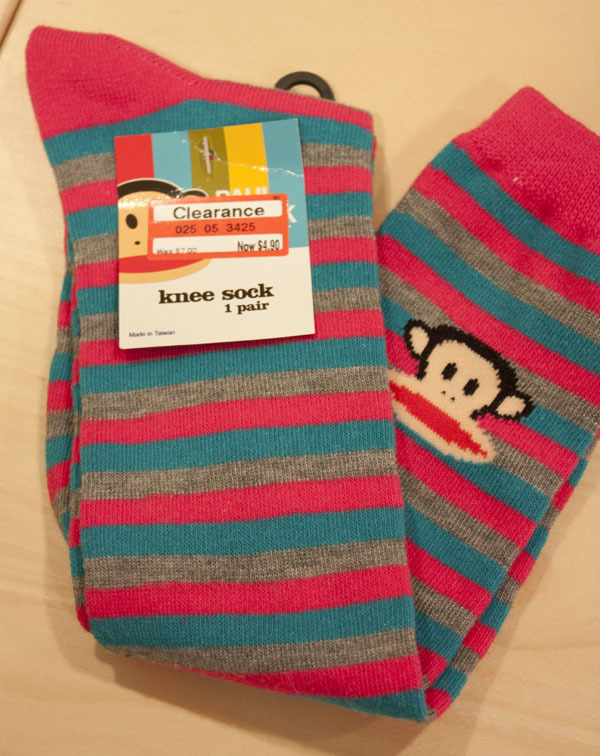 Buy a pair of clearance women's knee socks. O.K., they don't have to be on clearance. But why not? 3. 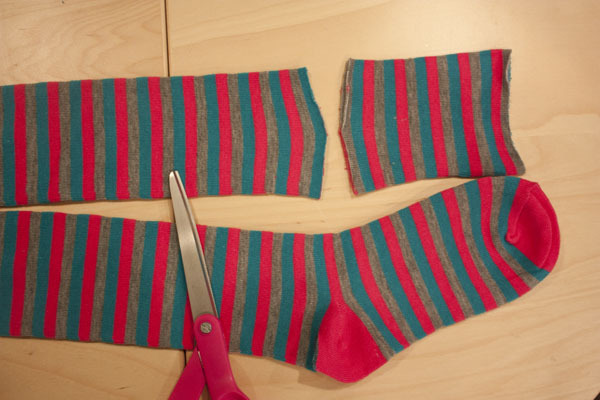 Fold the foot portion of the sock in half on itself (right side out). 4. 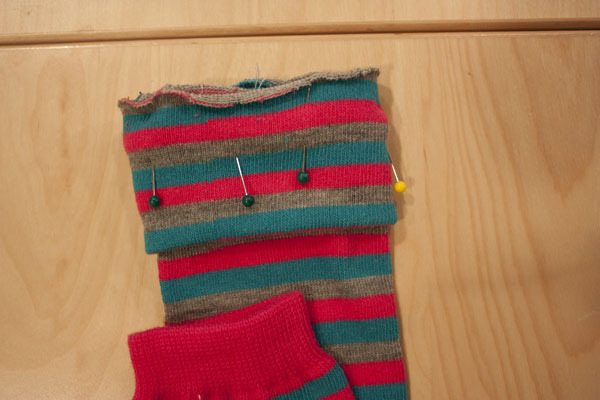 Slip the folded foot portion over the rest of the sock, lining up all of the raw edges, and pin. 6. 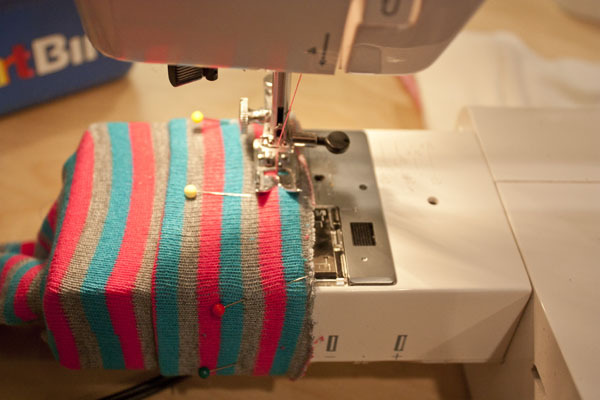 Flip the sewn cuff back over and—ta-da—you are ready to dress your baby! 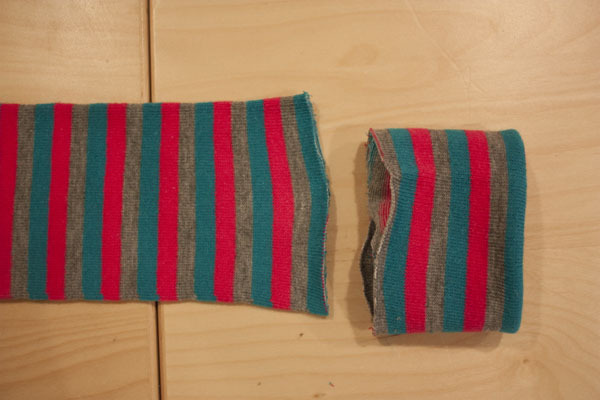 Note: Stripes are difficult to line up because the knit stretches as you sew. Embrace the imperfections or pick a solid color. 7. Attempt to keep your model in one place long enough to take a picture and fail. 8. Squeeze those delectable chubby thighs.